There was a time when children’s clothing for outdoor activities was difficult to find. Brands hadn’t factored in that children of all ages may have to attend outdoor trips with their parents or carers. Still, the industry has more than caught up, offering a wide array of outdoor clothing suitable for babies even. It's important that kids are comfortable, protected and still stylish so that they’re focused on enjoying their excursion. At Outdoor Camping Direct, we aim to kit your tiddlywinks out in outdoor wear that offers effectiveness plus amazing value for money. The layer system is a clothing method used to ensure that users are protected and comfortable during their outdoor activities. The system consists of three separate layers – the base layer, mid layer and outer layer. Working together, the layers keep the body insulated, ventilated and moisture-free during physical exertion. Firstly, you need your base layer. This is the layer that is closest to the skin. 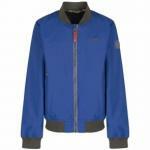 This layer of outdoor wear will wick moisture, such as sweat and condensation, away from the body. So, a base layer made of breathable, quick-drying material such as polypropylene or polyester will prevent that feeling of clamminess. The middle layer – or the mid layer – is the layer between the base layer and outer layer. Here, warmth is trapped but air enters through the breathable materials. 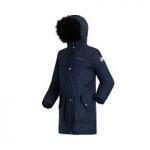 Children’s clothing items like gilets and fleeces work especially well at keeping warm air in and cold air out. Then, there’s the final layer – the outer layer. This is predominantly jackets and coats. 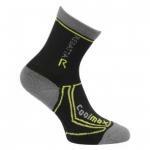 They are the last line of defence against harsh weather. Out layer clothing will be just as ventilating as the other layers but, mainly, it will be waterproof. 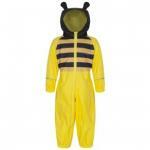 Before you begin compiling a list of random children’s clothing items your child may need, give it careful thought. There isn’t one all-purpose outdoor clothing outfit that will work well in all occasions. So, the best thing to do is to shop with some valuable considerations in mind. This is obvious. If you don’t have an idea of the children’s clothing you’ll need, where do you begin to shop? Make things a lot easier for yourself by thinking about the items of clothing your kids will need. Manufacturers and retailers go to great lengths to ensure that customers are wearing the right apparel for the specific season. They provide information on the construction of the outdoor clothing items so that you’re not caught out in Britain’s unstable weather climate. When shopping for children’s clothing suitable for outdoor activities, have a clear understanding of the environment they are attending. It’s also prudent to expect the worst. Even if it’s the sunniest spot in the UK, expect that that will not last. Nowadays, waterproofs are so lightweight and packable that there’s always additional space for these extras anyway. Getting the right size, especially for kids who are growing quickly, can be tricky. Still, accurate measuring of the child’s height and weight will help you to find sizes that fit comfortably. But the best way to ensure a perfect fit is to go to a store and try the item on. Shops will allow them to walk and move in the clothing, then make any adjustments if necessary. This may not seem that important to you but, trust us, it’s very important to kids. Children’s clothing – no matter the event – is always about looking good. Fortunately, finding fashionable outdoor clothing for kids is simple nowadays. But don’t try to read their minds and judge their preferences. Get together with your kids and allow them to choose from a selection of protective children’s clothing items you’ve picked out. How much should I spend on Kid’s clothing for outdoor activities? Budgeting for outdoor clothing really depends on how much you have to spend. There are products available to suit all purses, with some budget brands offering quality protective outdoor wear at bargain basement prices. Besides the clear price difference, there is a noticeable difference in the quality of the product. 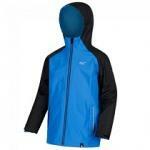 Children’s outdoor clothing with higher specifications and more features will cost significantly more. They are also more practical and can last longer with regular careful maintenance. For example, on more expensive outdoor wear for kids, you will get extras like taped seams and hems, and softer interior materials. Moreover, the materials and fabrics are tougher making them less likely to scratch or tear during the trip. Cheap outdoor clothing, on the other hand, is still a viable alternative for the tighter budget. They do only the basics – like protecting the wearer from the elements. 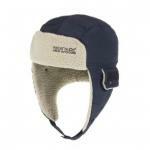 But there are brans, like Regatta, that bridge the gap, delivering excellent value for money. Kids have different builds, but one thing that they share at a young age is the ability to grow fast. There are several resources on the internet that outline the average growth rate of young children to help you. Learning this information could save you a lot of money. Buy clothes that children can grow into using the growth information. 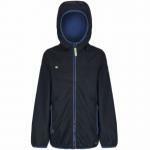 This ensures that children can reuse the outdoor clothing for a long time. If they grow out of them, don’t throw it away – especially if you have younger children too. Who knows when their first camping trip may come. When it does, you can save dosh by giving the old garments to their younger siblings. At Outdoor Camping Direct we stock the best outdoor clothing from the top brands at unbeatable prices. No matter the activity, we stock the most effective children’s clothing items you’ll undoubtedly need. Is your child camping in the back garden with mates? Or participating in the Duke of Edinburgh Award? Whatever the event, we stock protective coats and jackets to keep them covered throughout. We’ve got their backs…literally. Stay cosy and warm when the harsh winds come howling in a soft, insulate fleece. Feat your eyes on our range – available for fast-growing youngsters. For that added layer of warmth in the coldest climates, we have an awesome selection of gilets and bodywarmers. Now, kids can stay warm and look cool at the same time! Kids can enjoy their outdoor activities in maximum comfort with our range of base layer children’s clothing. Available in many styles and colours, bid farewell to the boring, monotoned base layers of old. 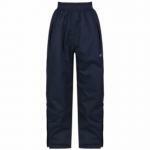 From overtrousers to dungarees, we sell weather-proof trousers at prices that won’t be beaten anywhere. What’s an outdoor outfit without a pair of sure-footed boots or wellies to finish it off? 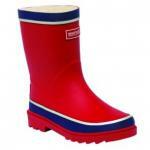 Ensure that your child never misses a step with some functional, and funky, children’s footwear. Pick up a children’s hat to help them combat the chill while they enjoy the great outdoors. Accessories your kids for their upcoming excursion with some comfy mitts.